Here I take the opportunity to salute some of the people near me that deserve mention for living their lives in a courageous, sacrificial and purposeful manner. Great fellowship with the ENZER man, Boyd Au who walked the holy grail of an entrepreneur by successfully taking a start up to IPO. More importantly, God ambushed and saved Him in that journey! Boyd never fails to inspire me with his servitude in spite of his accomplishments, and not to forget wealth; pursuing true heavenly riches above worldly riches! My powerful weekend during last week’s services (24-25 Sep’ 2011) at City Harvest Church. Here’s me with my spiritual leaders from Singapore and Vietnam. 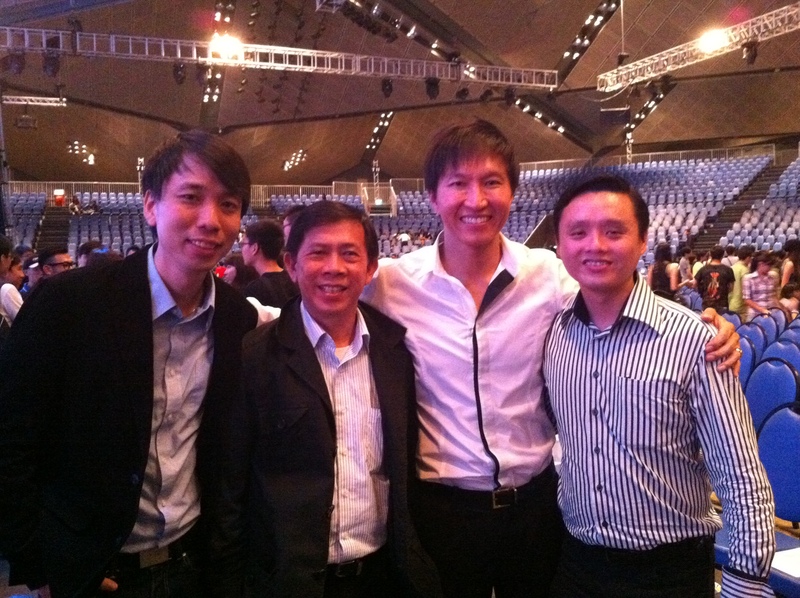 From right: Kelvin Chew, my cell leader, Pastor Kong Hee and Pastor Vinh from Agape Outreach Church, Vietnam. 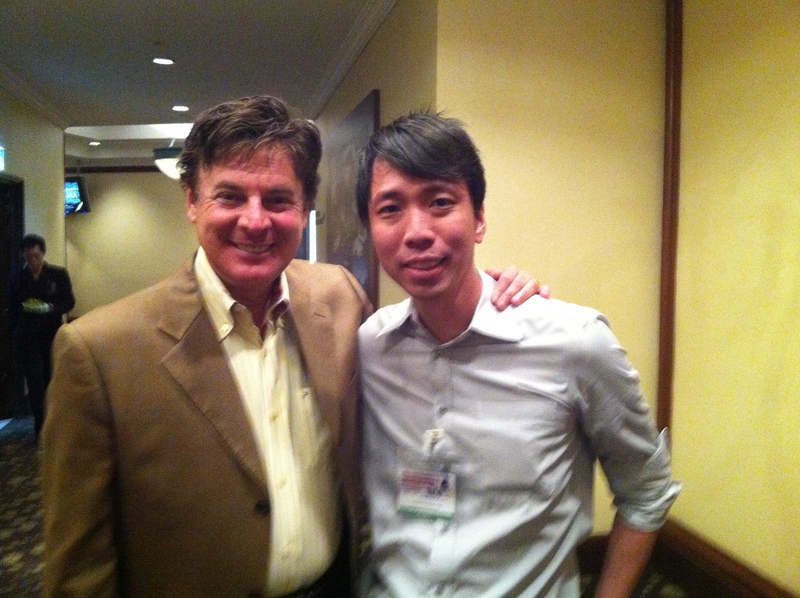 With Dr. Lance Wallnau, one of the earlier proponents of the Church in the Marketplace movement or the 7 Mountains Mandate at the Asian Marketplace Conference 2011. Taken with TheOnlineCitizen.com (TOC) team at the Thank You Dinner for GE 2011 volunteers on 16 May 2011. 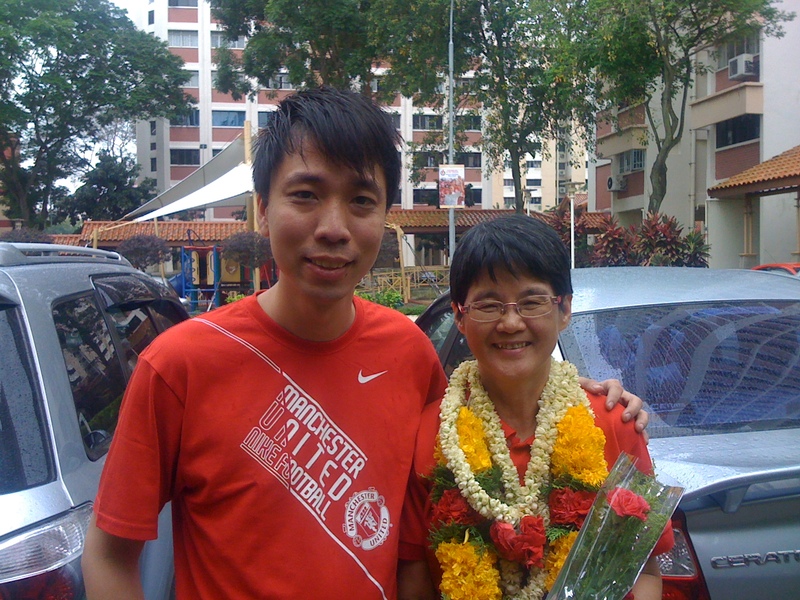 Picture taken with Ms Teo Soh Lung during her walkabout at Yuhua SMC on 1 May 2011. Sadly, she had to concede defeat with 6,977 votes against PAP Grace Fu with 14,081 votes. Meet Takalah (means “never or cannot lose” in Malay). This is one person you got to know and respect. I had the privilege to meet him during the last excruciating 10km of the marathon. Please do read his amazing story here>>>.